DAVID LE/Staff photo. 6/3/15. 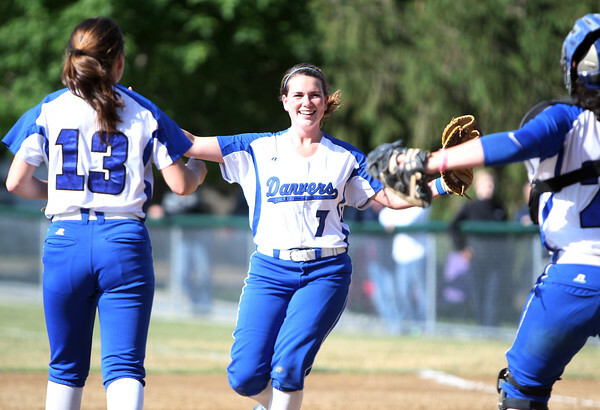 Danvers first baseman Elizabeth Prentiss (7) runs to greet pitcher Daria Papamechail (13) and catcher Caitlin McBride, right, after Prentiss caught a line drive to first and stepped on the bag to double up a Pentucket runner to end the game.